"Taylor Barton's emotional lyrics push the listener to go deep! Her imagery can evoke feelings of eerie calm and beauty in songs like "House of Light" or "Steeplechase" while at other times crush us with a song like "Where Did You Go", where she morphs herself into the heartbroken soul of a mother who is forced to survive, after a child's suicide. Taylor provides shelter and deftly carries us thru life's spectrum of experiences as her accomplished band, led by husband GE Smith, mesmerizes with their skillful performances. House of Light is her best work yet!" Taylor Barton learned her trade in the presence of musical royalty. Her husband, guitarist GE Smith, put the young songwriter backstage with musical legends like Bob Dylan, Neil Young and Jerry Garcia, and thus, her first song was conceived in the back of Dylan's tour bus. Born in Baltimore, Maryland she learned to meld urban grit with soulful art. She is ethereal, dark, and complex. 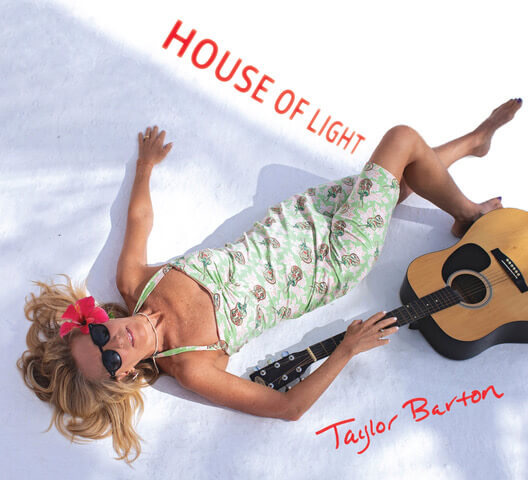 House of Light Taylor Barton Your browser does not support this audio feature. 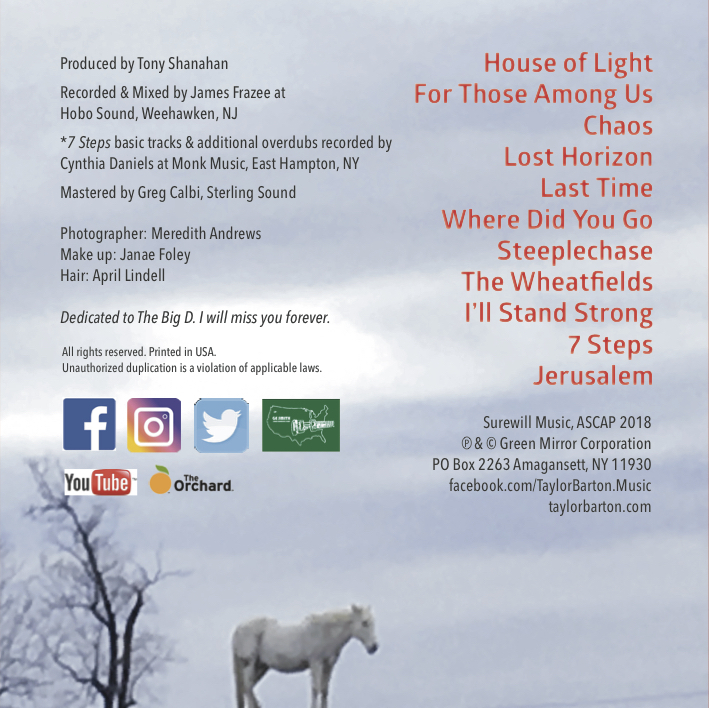 "If you like great hooks and and your indie pop more on the blues and folk side, check out Taylor Barton from the east coast in the states. The production is top notch and the songs sparkle. 'Chaos' stands out!" "Taylor Barton is a strong folk artist in the best sense. Her voice is sultry and her writing is strong We are playing both "Chaos" and "Lost Horizon" here on Belter Radio." "Taylor Barton's tunes are easy on the ear and perfect for that laid back Sunday barbecue."